Due to the complex nature of biosimilars, pharma manufacturers need to rely, partly or to a large extent, on external capacities and expertise. The more classically generic the company’s background, the more this holds true. 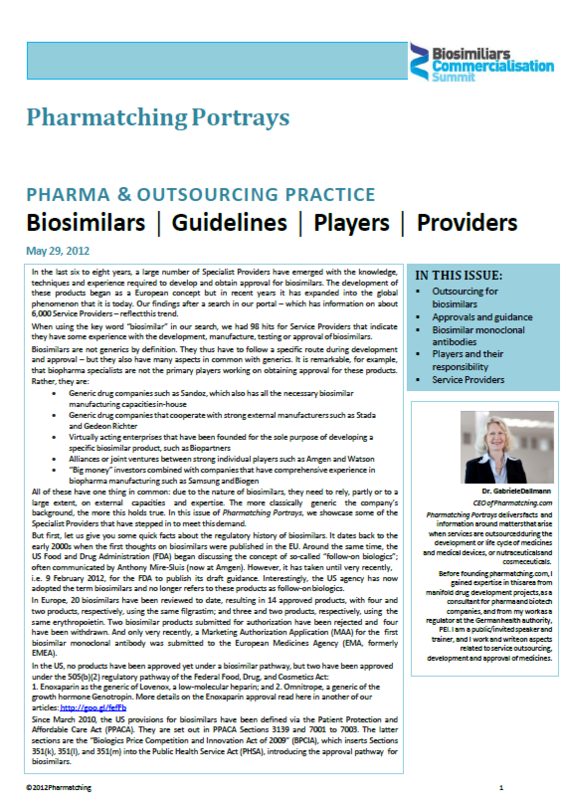 In this issue of Pharmatching Portrays, we showcase some of the Specialist Providers that have stepped in to meet this demand. Pharma IQ spoke to Dr. Gabriele Dallmann, CEO of Pharmatching.com about biosimilar and the guidelines, players and providers in the sector.